An advocate for educational video games realizes that our kids might actually learn more from Civilization, Minecraft, Call of Duty and World of Warcraft. Everything changed at a lunch with the legendary game designer Sid Meier. For years, I’d been making the case that we should borrow from the games kids love to create new kinds of educational games. But after that one memorable lunch, I realized that we didn’t need to co-opt the mechanics of gaming at all. We could — and should — use the games that kids were already playing, the immersive, sometimes violent games that hold boys and girls enraptured for hours in a state of flow and focus. Sid, the mind behind games like Civilization and Pirates, is a bold thinker. In our long chat, he gently suggested that my approach — basically, to ask companies like Blizzard and Rockstar to contribute to educational game design — was off base. He convinced me that kids really do not like educational games; in fact, they hate them. And as I watched more kids play video games, I realized Sid was 100% correct. If given a choice between a game designed with a learning goal or a commercial game designed for fun, kids’ll choose fun every time. This was a true turning point in my work. I spoke to more game designers, particularly educational game designers. Some of them said that designing educational games was crucial because even though kids hate them, they’re “better than what they get in the classroom.” This seemed deplorable. No matter the media, the one thing that research shows most impacts learning is a caring teacher. Replacing a human being with a video game that kids hate, simply because the teacher, constrained in his or her own ways, cannot create an engaging experience … that didn’t seem a good swap to me — and I learned that it wasn’t a swap most teachers wanted either. Games are surprisingly powerful learning tools on their own. How can they be applied to classroom learning? • kids who gamed were less likely to re-offend if they’d been in trouble with the law. • companies were hiring kids off leaderboards from major games because they believed them to have certain 21st-century skills like communication, grit, teamwork, leadership, followership and perseverance. Something was happening here, and it wasn’t thanks to educational games. Now I’m in the middle of a larger four-year research project, still ongoing, that focuses on boys, and what they learn when they game. And one major thing I’ve learned already is that when we reject the games that boys play, the games are merely a proxy for the boys themselves.We reject games because they’re violent, individualistic, competitive, engrossing and largely foreign to us as teachers, parents, leaders, adults. And these are the precise characteristics of boys that we reject when we enforce zero tolerance policies. Instead, bringing these commercial games into schools will communicate to boys (and girls) that they are indeed valued, that their culture is welcome here, that the teachers, parents and adults in their lives respect who they are and want to learn from and with them as well as teach them. Competitive, violent fantasy games contribute to the development of strong future leaders and citizens. So far, this series of studies, led by the work of Jason Engerman, has resulted in some amazing findings. We heard boys describe failure in school as taboo, and failure in a game as desirable. We heard boys describe facile ways of dividing up leadership and recognizing one another’s expertise in the most collaborative and generative of ways — which also happens to be the key to a diverse workplace. We learned about boys and girls who had learned so much about a topic from a game that they realized, as author Kurt Squire learned in his own youth, that games are surprisingly powerful learning tools on their own. How can they be applied to classroom learning? There are several things that we can do now. First, we can encourage our schools, teachers, boards, policy makers and other parents to value the gaming that our kids are engaged in. At least ten times a month, the parent of a young boy (usually) asks me: “Is it bad for my son to game? What limits do you place on gaming?” Myself, I strive for balance; we need to guard against addictive behaviors in all our life activities. My own sons play games, but they are also active in music, sports and scouting. We don’t have specific limits, because their lives are full of other things that are equally as fun and engaging for them. 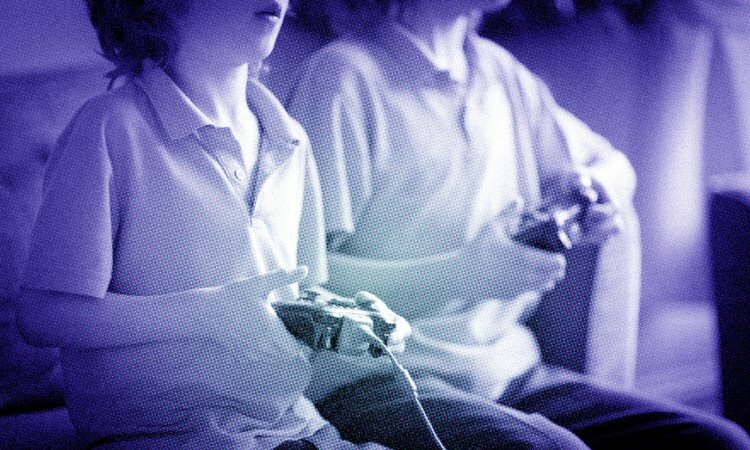 So, yes, it’s OK for your child to game, as long as they do it in a careful, balanced and sustained way (yes, sustained: deep engagement, grit, perseverance and other good skills are not built by grazing). Valuing their gaming activities amounts to respecting them and their culture. Second, I’d very much like to gather stories of incidents where parents, teachers, and other adults were surprised by the kinds of learning that they realized their children (or even they) were engaging within games. Tell me your stories. I would love to compile a book of examples of ways that commercial gaming is contributing to real learning out in the world. Third, I’d love to see more gaming. Like Jane McGonigal, I believe that gaming can make the world a better place. I feel that competitive, violent fantasy games contribute to the development of strong future leaders and citizens. Therefore, I’d challenge all readers to pick up a game their kids or their neighbors’ kids are playing, and play for at least one full hour in sincere and earnest game play. You’ll be amazed at what you learn about yourself, about the game, about your preconceptions about games and gamers, and likely about that kid. Ali Carr-Chellman is an instructional designer and author who studies the most effective ways to teach kids and to make changes at school.This piece was adapted for TED-Ed from this Ideas article.